Wire solder for jewelers and metalsmiths is an important supply for your studio. Wire is easy to snip into small pieces or hammer and then snip into pallions. Don't miss our complete selection of jewelry soldering supplies and tools. 12in. 750 Medium 19ga Silver Solder Wire. Cadmium-Free. sold in pre-cut segments. 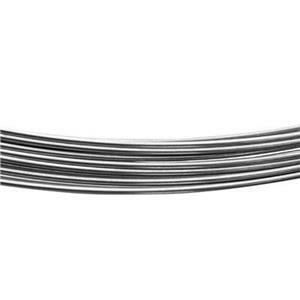 12" Segment of 56 Easy 20ga Silver Solder Wire. Cadmium and Indium free. 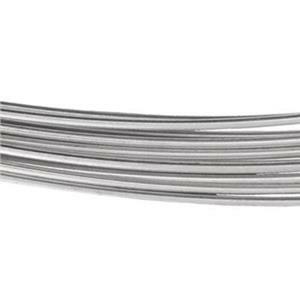 56 Easy 20ga Silver Solder Wire. Sold by OZT. Cadmium and Indium free. 70 Medium 20ga Silver Solder Wire. Sold by the OZT. Cadmium and Indium free. 75 Hard 20ga Silver Solder Wire. Sold by the OZT. Cadmium and Indium free.